Astro Lighting Mascali square LED illuminated magnifying bathroom mirror in a polished chrome finish. The product code for this Astro Lighting bathroom mirror is 7968. 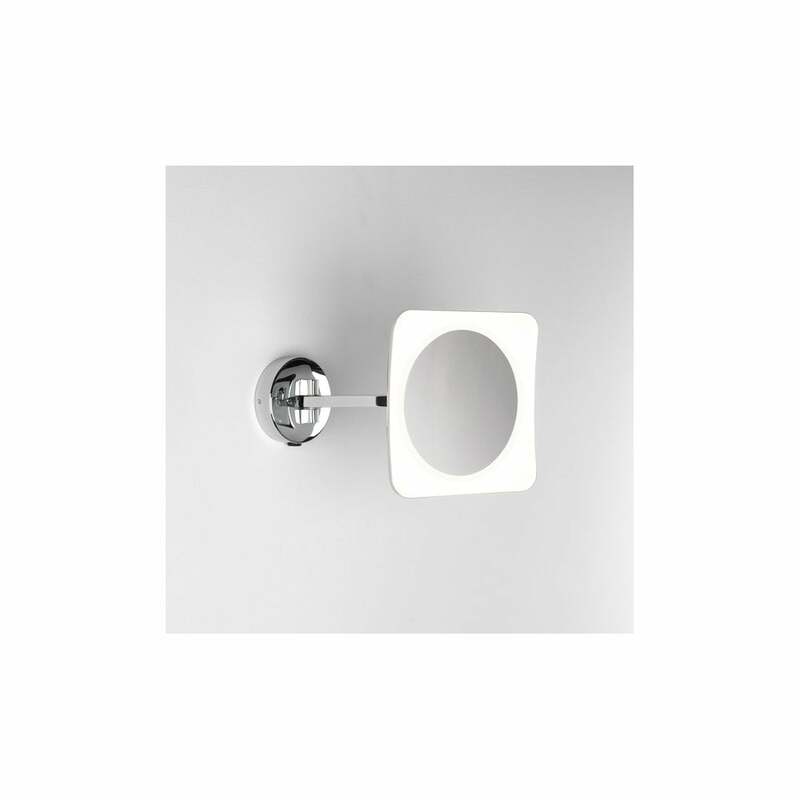 Mounted on a circular base holding the arm which is adjustable at two points giving you maximum freedom of movement and the mirror provides 5 x magnification. This design is both stylish and practical making this simple yet elegant mirror perfect for modern contemporary bathrooms. IP44 rated and double insulated, also includes integral switch and integral LED driver. A wide range of illuminated bathroom mirrors are available to view on our website.